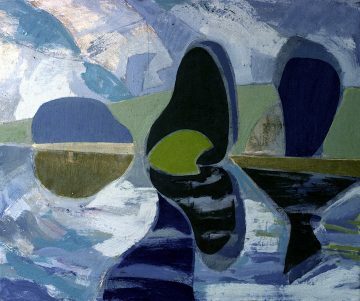 The Kestle Barton Summer exhibition is an opportunity for visitors and those familiar with Tom Cross’ later paintings of the Helford River area to view his earlier paintings of the late 1960s and 1970s. The relationship between abstraction and realism was explored throughout Cross’ lifetime with the emphasis shifting at different periods, but with the two strands continually informing each other. 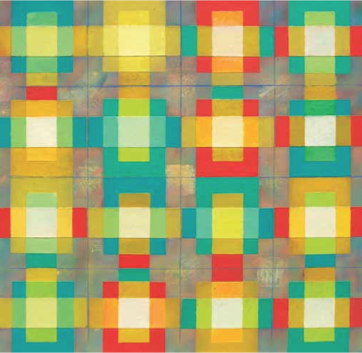 Tom Cross: Early Paintings features colourful, geometric paintings influenced by contemporary international abstract movements. Our second exhibition of works by artist, writer and teacher Tom Cross. Travel was an important part of Cross’ artistic practice, beginning with a scholarship to the British School in Rome after graduation from the Slade School of Art in 1956. 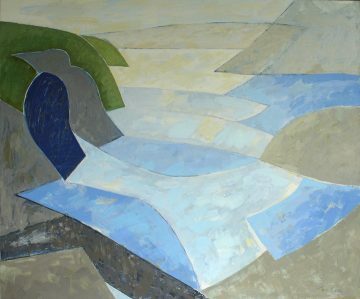 The show includes paintings from Cornwall, Wales, Guernsey, Sweden, Italy, The Middle East, Australia, Mexico and Belize. An exhibition of sculpture, paintings and works on paper by British artists working in the second half of the 20th Century. 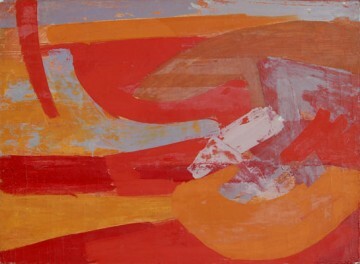 The exhibition focuses particularly on 1950s, 60s and 70s abstraction. Artists involved include: Robert Adams, Frank Beanland, Denis Bowen, Michael Canney, Maurice Cockrill, Tom Cross, Robyn Denny, Roy Turner Durrant, Bernard Farmer, Terry Frost, William Gear, Paul Huxley, Henry Inlander, William Newcombe, Kenneth Rowntree, John Milne, Edward Rogers, Aubrey Williams, Brian Willsher and others. 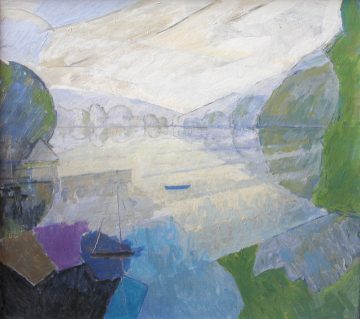 This exhibition celebrates the strong connection between the rich artistic heritage of Falmouth and the formation of Falmouth Art School (now University College Falmouth). The exhibition includes major artists such as: Ray Atkins, Trevor Bell, Sandra Blow, Susan Boafo, Laurie Burt, Prunella Clough, Tom Cross, Tom Early, Michael Finn, Sir Terry Frost, Francis Hewlett, Kurt Jackson, Robert Jones, Richard Long, Danny Markey, Lee Miller, Antony Penrose and Sir Roland Penrose.